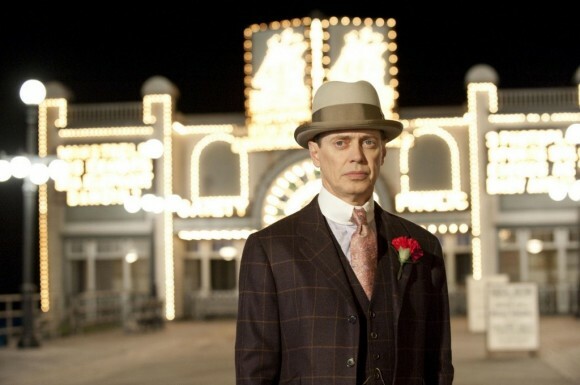 HBO’s gangster drama, Boardwalk Empire, brings the viewer life in the 1920’s. Bootlegging, extortion, gambling and other illegal and violent forms of making money during the prohibition are displayed. This show provides an amazing storyline, top-notch acting (due to the superior cast) and brilliant costume design. One more thing we forgot to mention, Boardwalk Empire is produce by Martin Scorsese! Update: They are Italian handcrafted Forzieri two-tone wing tips. Valued at $630.00 USD Closer look here. Handcrafted Italian two-toned wingtip shoes; they are elegant and classy, embellished with cut outs and perforations. These details make this wing tip shoe look simply stunning. 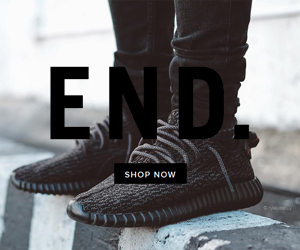 Only one color available: black and caramel. Another classical wing tip with similar characteristics to the original Nucky Thompson’s wing tip shoes. A single-color walnut brown gives the shoe a nice shine. Although it isn’t an Italian shoe, rather a product of United States, it is about 50% cheaper. View a similar product: Allan Edmonds Mcallister. This is more of a casual and more affordable shoe than the Nucky Thompson’s wing tip shoes. These are your every-day casual, cool wing-tips that go well with jeans. They are made in Brazil and they have a rich suede construction to them. Available colors are grey, taupe, navy and red. In our opinion the navy ones take it with grey as a close second. If you are looking to take the wing-tip style shoes to the next level and modernize the classic Boardwalk Empire look, then Moreschi has your solution. This Italian giant is listed at $675.95 but a current 45% OFF sale brings them down to $371.77. This shoe has an updated wingtip styling; a tri-toned upper (similar to Nucky Thompson’s wing tip shoes but with a modern twist) and a flexible elastic part to increase comfort around the ankle. This is what Nucky Thompson would wear had he been born in our century. This wing tip shoe is very sleek; divine art in shoe form. These Moreschi’s come with luxurious tonal leather and beautiful dual wing-tip construction with a cross-vamp buckle strap. The fine details on this wing-tip are magnificent and will make a lasting impression on anyone whose path you cross. In our opinion, these shoes beat Nucky Thompson’s wing tip shoes. If you want a simple black wing tip dress shoe, have a look at the Cole Haan Air Garrett. Browse more of our Forzieri Wing Tips and Nucky Thompson’s wing tip shoes styles.